PERRYSBURG, Ohio (June 3, 2015) Owens-Illinois, Inc. (NYSE: OI) today announced that the company will participate in the 2015 Macquarie Global Metals, Mining and Materials Conference on Wednesday, June 10, 2015 in New York, NY. The replay from the conference will be posted within 24 hours of the presentation and will be archived through this link for 90 days. 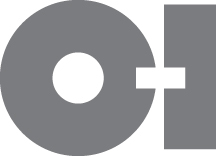 Slides from the O-I presentation will be available on the company's website, www.o-i.com/investors before market opens on June 10.